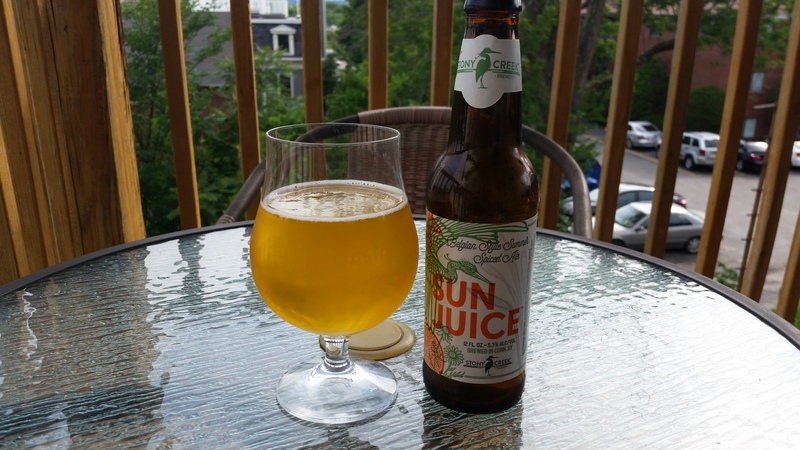 My sampling trip through Connecticut beers continues with a couple selections from Stony Creek Brewing Company in Branford, CT. 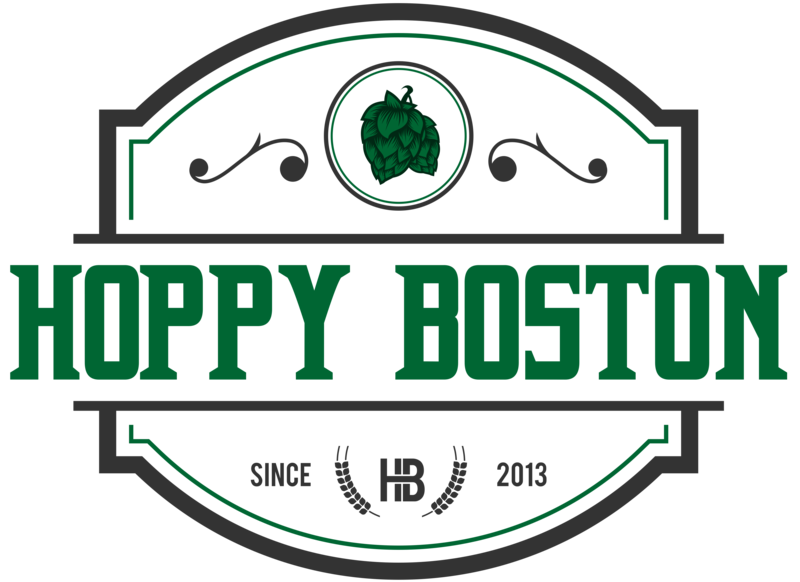 Looking at their website I kind of wish I had made the trip to Branford instead of just grabbing the beers in a bottle shop, the brewery looks like a great place to hang out. They have indoor and outdoor space that includes a dock and space for games. Stony Creeks mantra is “aggressively laid-back”, their team focuses on creating ambitious and creative beers served in a fun and relaxing environment. I grabbed two selections to sample. The first was their summer seasonal Sun Juice, a Belgian style witbier brewed with orange peel, grapefruit peel, coriander and chamomile. The second was Dock Time, a year-round amber lager brewed with rye and Sterling hops. Both beers are available on draft and in 12 oz. bottles. 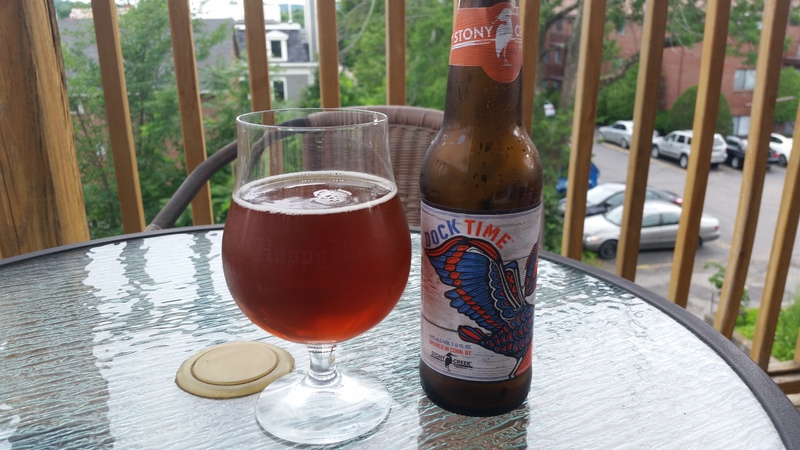 Stony Creek Dock Time pours a deep amber red with a minimal white head. The scent is mostly rich malts, present but subtle. The taste is malt forward, touches of caramel, fresh bread, honey and roasted nuts. There are some mild earthy hops that add balance but this is a malt forward beer. The beer is crisp and clean, it is clearly a lager, and sessionable at 4.8% ABV. Amber lagers aren’t my favorite beer style, but this one was enjoyable. Hoppy Boston score: 4.0/5.